262 pENN roAD, pENN, wOLVERHAMPTON, wv4 4ad. Choosing a Funeral Director to take care of your loved one may be one of the most difficult decisions you face. Edward John Funerals understand that by appointing them as your Funeral Director, you are placing an enormous amount of trust in the team. 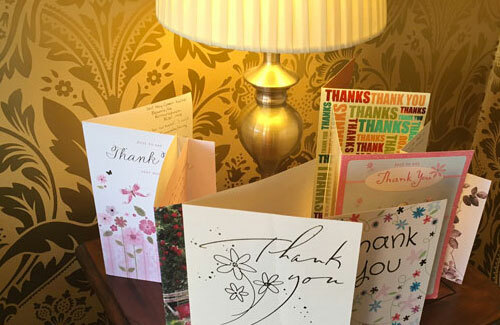 For your reassurance, the team have included a small selection of the many Testimonials and words of gratitude received from past clients in relation to the care of their loved one and the arrangements made for their Funeral. After losing both parents within 10 months of each other, I can never thank Edward John Funerals enough for their respect and help. From the moment we contacted them right through to the end of the funeral and beyond, their services were second to none. In all aspects the support we received was exemplary leaving us feeling secure on such a difficult day that the process would proceed smoothly. The emotional and compassionate support we received at such a devastating time enabled me to focus on my own grief, whilst feeling safe in the knowledge that my parents would receive the special dignified day they deserved. Edward, there are no words to say how much it meant to me that you were with Mom and Dad, and looked after them when I couldn't, and I know they will be forever grateful for helping me on the worst two days of my life. Edward John Funerals arranged Paul’s Funeral - a very close family friend. From the moment they were called to collect him, they provided the most excellent service. The gentlemen that collected Paul were respectful and treated our loved one with dignity and respect. Whilst the arrangements were made, if any questions needed to be answered, Edward was always contactable on the telephone 24 Hours a day. On the day of the Funeral, Paul arrived in Edwards black and silver Jaguar Hearse. It was the most elegant Hearse I have seen. Edward walked in front of the Hearse and lead Paul to the front of the Chapel - the whole Funeral Team looked very smart and professional. As we all entered the chapel Edward greeted us one by one which really was lovely. I will most definitely be using Edward John Funerals in the future as and when the unfortunate time comes to need his services again. Edward, you gave my big brother Dave, a fantastic send off. Thank you for all your hard work, patience, time, empathy, and most of all, making my brother look at peace when I saw him for the very last time. You and your colleagues did us and David very proud. The memory of that beautiful day will never fade. So with that being said, we can’t thank you enough and will highly recommend your service to others. I first contacted Edward regarding my Fathers final wishes for his Funeral, as I thought his requests may not have been possible, but Edward put my mind at rest and talked me through how things would work. This meant so much to us as we could grant my Dad his last wishes. From that moment on I honestly couldn’t have wished for better. They took the time to ask how we were as a family, with genuine concern, always offering a hand to help with anything if they could. We were always treated with respect, and at times it was like I had known Edward and his Team for years. They took great care of my Dad whilst in their care, treating him with respect and dignity. On the day of the funeral, I can honestly say they made everything perfect, explaining each step, and giving options to make it easier for us as a family. I will be forever grateful to the company. They go above and beyond the call of duty and are a real credit to the profession. I would highly recommend them to anyone in the hard times of losing a loved one. They will be forever in our hearts. To all at Edward John Funerals, I just wanted to show my gratitude to all those who made my Dad's Funeral special. You handled everything in such a dignified way; from the way he looked in the Chapel of Rest, right through to the morning of the service. We chose Edward John Funerals as they are a small, family run business. 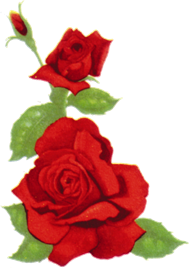 We wanted a service that was dedicated to us and that which was able to provide personalised care; Edward John Funerals provided just that. Edward is very friendly and welcoming. He listened carefully to each word we said, and he got to know my dad by asking questions about him and very politely listened as we rambled on to him about our memories. He then used all of this information to create a personalised order of service which suited my dad perfectly. We also liked that he shared our preference when it came to making him look natural. Edward (and his staff) were all very respectful and even shouldered him in to the Crematorium Chapel, which was very much appreciated. Edward also set up an online memorial page for my dad, which allowed family and friends to share memories and say goodbye. We appreciated this as we then used these in our own memory book. As a family we would highly recommend him to others. My family and I would like to thank you and your staff for the excellent service we received from your company, it was very much appreciated at such a sad and stressful time. A death in a family is always very emotional and you helped make the whole experience a little more bearable. Dilys was a very special lady to us all and we feel we gave her a very special day. Just a quick note to thank you for looking after my Mom and the rest of us at such a sad and hard time. Mom's Funeral was lovely, obviously much of this was down to the part you played in it and we are all so very grateful. A little note of thanks and appreciation in your help in Mom's Funeral. For what we wanted your service can be described in only the words of Tina Turner, 'Simply the Best!' I will certainly be recommending your company. I am pleased to say you did an excellent job at an excellent price for Brian's Funeral. You organised everything to complete satisfaction and in particular you handled events at the Crematorium efficiently and sensitively. Edward, you handled communications well and proved we need not have had any worries or concerns about any aspect of the arrangements. I thoroughly recommend your company to those looking for an excellent value for money service to fit such a sad occasion. Thank you for the cremation and service you arranged for my husband on Monday. It all went very well and you were all lovely. Our family would like to thank you very much for your services and care that was shown before the Funeral, and during the service. Many comments were made about the conduct of yourself and the bearers, and the respect that was shown. Once again, a great big thank you to you all. I just want to say thank you for the care and support you have show me and my family. For guiding and helping me through a difficult time of my life and helping me plan my husbands funeral. The care you all showed as a team was amazing. Edward you walking in front of the hearse on the main A5 took enormous courage and we were proud to watch and admire you and again at Stafford Crematorium. To Ryan thank you for listening to me and helping me put the funeral together. Nothing was to much trouble for you lads and it was very much appreciated. To Nik the flowers you did were beautiful and the extra roses to put on the coffin, during the service was a lovely touch thank you. To Martyn, You were completely fantastic, the way you lead the service and guided me through each part, was really reassuring. I couldn't have wished for anyone better. Thank you. Available 24 Hours a Day, 365 Days a Year. Covering Wolverhampton and surrounding areas including Ashmore Park, Bilston, Bradmore, Bushbury, Castlecroft, Compton, Fordhouses, Goldthorn Park, Heath Town, Merry Hill, Oxley, Pendeford, Penn, Stowe Heath, Tettenhall and Wednesfield.